Madison and Park Avenues on East 84th. turn right on 86th Street; turn left on Fifth Avenue; turn left onto East 84th Street. 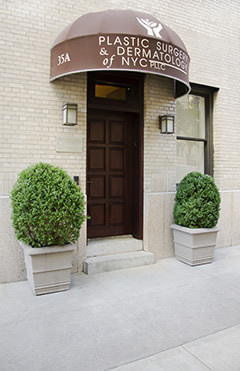 The office is located between Madison and Park Avenues on East 84th. turn right and cross Central Park; turn right on Fifth Avenue; turn left onto East 84th Street. turn right and drive north/uptown; turn left on 81st Street then left on Fifth Avenue; turn left onto East 84th Street. The office is located between Madison and Park Avenues on East 84th. From East Side of Manhattan: Take the 6 train to 86th Street and walk two blocks west to Madison Avenue; or take the M1, M2, M3, or M4 bus along Fifth Avenue to 84th Street. From West Side of Manhattan: Take the 1 train to 86th Street, then the M86 crosstown bus across Central Park to Madison Avenue. From Penn Station: Take the M4 bus to 84th Street and Madison Avenue. Park Ave. & Madison Ave.